As the spring semester winds down here on the UT campus, congratulations are in order for a number of NIMBioS-affiliated faculty and staff who received accolades for service and academics. “Dr. Lenhart is an excellent mentor and helps tremendously in the navigation research, professional development and networking. Despite her very busy schedule, she always makes time for students,” wrote another graduate student. (L to R): UT math professor Morwen Thistlethwaite, Sam Duchscherer, and Louis Gross at the UT Mathematics Department Honors Day Events. Graduate students also made their mark. 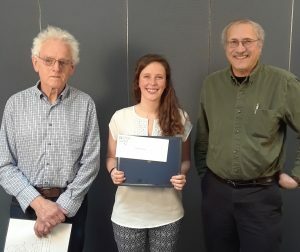 The Mathematics Department honored Samantha Duchscherer who received the Yueh-er, Hong-hsu & Clarence Cheng Kuo Fellowship Award for her master’s thesis, “Classifying Building Usages: A Machine Learning Approach on Building Extractions.” Duchscherer was supported by a contract to NIMBioS and her thesis advisor is NIMBioS Director Louis J. Gross. Following graduation this spring, Duchscherer has accepted a position as a post masters research associate with the Geographic Information Science and Technology group at Oak Ridge National Laboratory. 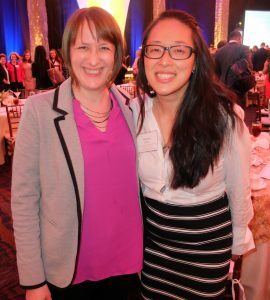 Over at the Chancellor’s Honors Banquet, NIMBioS Graduate Research Assistant Danielle Burton was awarded the LGBTQ Student Leadership Award, given by the Commission for LGBT People to a student who demonstrates a commitment to advancing lesbian, gay, bisexual, and transgender issues on campus. 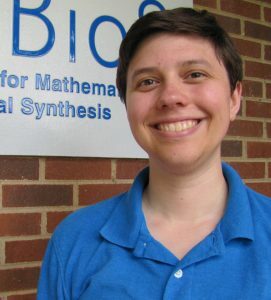 Burton is a doctoral candidate in mathematics whose research focuses on optimal control of difference equations describing populations and on examining the effects of processes such as harvesting or dispersal on individual or coupled populations. More details here. Miranda Chen, a doctoral student in ecology & evolutionary biology, was awarded a Chancellor’s Citation for Extraordinary Community Service for her contributions to the university community through leadership and service. During the spring semester, Chen conducted an independent study with the National Institute for STEM Evaluation and Research (NISER) at NIMBioS. She also helped NISER with evaluating the Possibilities in Post-Secondary Education & Science (PiPES) program. 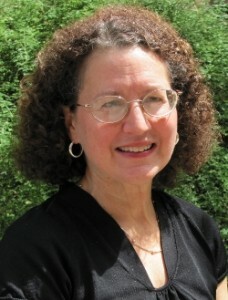 She is working with NISER to write a paper for The Qualitative Report Journal that includes best practices in the evaluation of STEM education outreach programs using qualitative data from multiple stakeholders. Chen will continue her research this summer with NISER and NIMBioS. This entry was posted in awards, GRAs and tagged awards, GRAs. Bookmark the permalink.